Our man, Simon, is a bit of a tool lover, he's been using this T-driver set from Venhill for the last sixteen months and here's why he gives it a 5 star review! This Venhill rotating 3/8 T-driver, socket and Allen set covers most of my undoing and fastening needs. 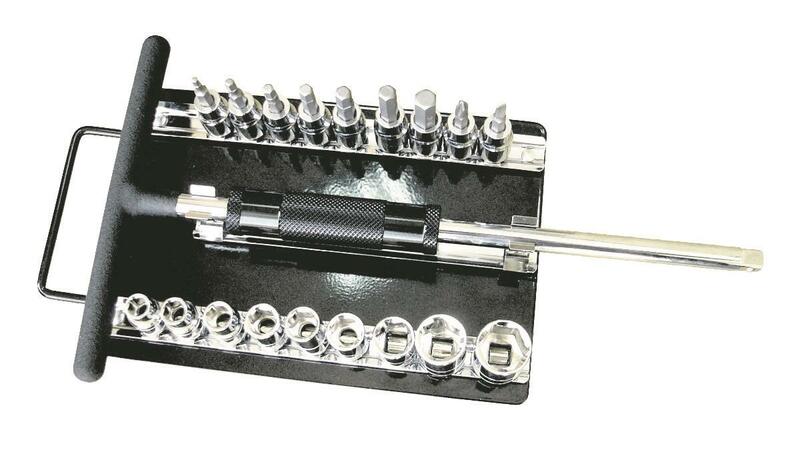 Sockets range from 8-19mm nad Hex from 3-10mm, along with one Phillips and one standard screwdriver head. Tather than needing 18 T-bards (which would also take up a lot of space), you simply swap the end to the size you want.